Perhaps Washington is your first (and only?) Stop during your stay in the United States. In this case, you will arrive by air and land in one of the airports of the city. The city of Washington has three airports: Washington-Dulles (IAD) and Baltimore-Washington (BWI) are two international airports located outside the city. Ronald Reagan National Airport (DCA), for domestic flights, is located near the Pentagon, just minutes from the city center. 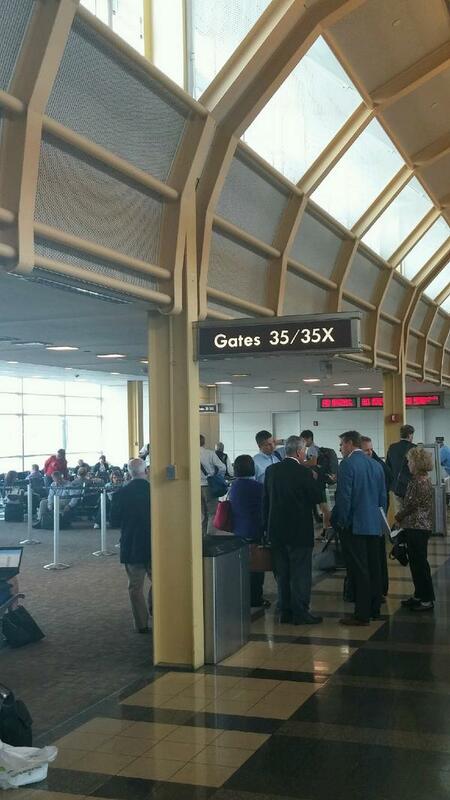 Washington-Dulles Airport is located in Virginia, about 40 kilometers west of downtown Washington. It is very likely that this is the airport where you will land if you arrive from Europe. It consists of a main terminal and four halls. As the different halls are not connected to the Main Terminal, it is quite possible for you to make your way to a sort of boarding lounge. You will then arrive at customs and immigration. You will have first filled out a sheet on the plane that you will have to present at the same time as your passport. The immigration officer will then ask you some questions, such as "Are you here as a tourist or working? How long do you stay on American soil? »Or« Where do you live? ". Everyone is asked these questions, you will not be an exception so do not panic and always answer honestly. Shuttle SuperShuttle will drop you off wherever you want for just over $ 20 per person. Other travelers can travel with you and be dropped as and when. Prices vary depending on the distance. You can book as soon as you know your arrival time. You can also book the opposite way: city center> airport. Private Transfer Unlike the SuperShuttle company where you share the van with other travelers, there is a private sedan, limousine or 4x4 transfer service that will take you from the airport to the city center. You can also book the opposite way: city center> airport. Taxi It's a little over $ 50 with Washington Flyer Taxi. Bus A special bus route, 5A, connects Dulles Airport to the city center (L'Enfant Plaza or Rosslyn station). Allow about 40 minutes for the trip, which will cost you $ 7.50. You can use the SmarTrip® Card or pay directly by having the exact account because the driver does not give change. Metro You can take a shuttle bus from Washington Flyer to the Wiehle-Reston East subway stop for $ 5. There is a shuttle every 15 minutes on weekdays, every 20 minutes on weekends. The trip takes about 10 minutes. The underground gray line (Silver) then goes to downtown Washington for about $ 6. It takes 40 minutes to travel. Car Rental If you rented a car, you will have to go outside the Terminal to take a shuttle from the rental company. It will take you directly to their parking, located further. The Thurgood Marshall International Airport in Baltimore-Washington, Maryland is the largest of the three airports in the region. It is about fifteen kilometers from the city of Baltimore and about fifty kilometers north-east of Washington: it is the farthest from the capital. But it is often very highly rated in the ranking of the best American airports. He was second in 2008. It consists of a terminal and four halls (A & B, C, D and E), all connected to the terminal. Hall A & B (now common after renovations) is entirely dedicated to the Southwest Company, for its domestic flights. Hall C is dedicated to Alaska Airlines, American Airlines and Southwest Airlines. Air Canada Express, Allegiant Air, Delta Air Lines, JetBlue, Spirit Airlines and United Airlines are located in Lobby D. Lobby E is occupied by British Airways, Condor, Norwegian Air Shuttle, Southwest Airlines (international flights) and WOW Air. Note however that all international flights that have not received pre-authorizations are treated in Hall E. This will surely be your case, especially if you have embarked in France. A pre-authorization is a service used in some European airports (two in Ireland, Brussels, Oslo, …) which makes it possible to reduce the congestion of the American airports at the time of the arrival of passengers: the controls of immigrations and Customs are made at the departure airport by US agents, instead of the arrival airport. No French airport is part of this agreement. Shuttle The SuperShuttle company will drop you where you want from $ 23 if you are alone, the price per person decreases the more you are numerous. Prices vary depending on the distance. Other travelers can travel with you and be dropped as and when. You can book as soon as you know your arrival time. You can also book the opposite way: city center> airport. Private Transfer Unlike the SuperShuttle company where you share the van with other travelers, there is a private sedan, limousine or 4x4 transfer service that will take you from the airport to the city center. You can also book the opposite way: city center> airport. Taxi It takes a little over $ 90 with BWI Airport taxis. The advantage is that most are suitable for people in wheelchairs. Bus An express bus line (BWI Express / B30) runs from Baltimore Airport to Greenbelt Station, northeast of the city. There is a bus every 40 minutes between 06:38 and 22:33 Monday to Friday and between 9:31 and 22:30 on weekends. It takes about twenty minutes for this bus ride, to which must be added almost an hour subway to reach the center of the city. Train Trains between Baltimore-Washington Airport and Washington Station (Union Station) are frequent. The trip takes about half an hour with the company Amtrak. Car Rental If you rented a car, you will have to go outside the Terminal to take a shuttle from the rental company. It will take you directly to their parking, located further. The airport is in Arlington, Virginia, across the Potomac River. It is located less than ten kilometers from the center of Washington. As you walk down the Mall, you'll see a lot of planes flying over the Lincoln Memorial to land at the national airport. It is composed of three terminals. 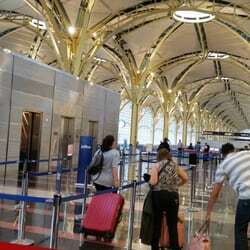 Unlike Washington-Dulles and Baltimore-Washington International airports, Ronald Reagan Airport does not have an immigration service since most flights are domestic. Passengers flying from Canada and the Bahamas pass the immigration procedures upon boarding and not upon arrival. You may need to arrive or leave this airport if you have an internal flight during your trip.